Do you believe love is timeless and ever-enduring? Do you see love through the eyes of Emily Bronte or Virginia Woolf? Then you’re an Anna Campbell bride. Anna Campbell designs “vintage-inspired silk dresses for modern romantics,” and anna bé bridal is wistfully in love with these soft, flowing designs. Brides come from around the country and world to try on our Anna Campbell gowns and remark that the journey was well worth it. Noted for her breathtaking beadwork, vintage laces, and bohemian feel, Anna Campbell designs each unique dress by hand in Melbourne, Australia. We’re just lucky vintage steamships have been swapped for high-tech aircrafts, allowing anna bé brides to wear Anna Campbell for their wedding day. Not only are the gowns hand-designed, but built and embellished by hand for a look and feel that is truly authentic and special. The delicate yet eye-catching aesthetic of these gowns makes them suited both for an Indian Summer wedding in a lavender field and a frosty romantic winter wedding in an enchanted forest. An Anna Campbell bride may think of words like “comfortable, romantic, and boho,” when imagining her wedding-day look. The latest Anna Campbell collection, Wanderlust, sets its sights for anna bé where an exclusive, dreamy TRUNK SHOW is taking place October 19-20, here at our Denver boutique! Wanderlust pulls from heritage Anna Campbell beading while adding new fabrics, laces, and feminine silhouettes into a collection that turns a bride into the apple of every guests eye. 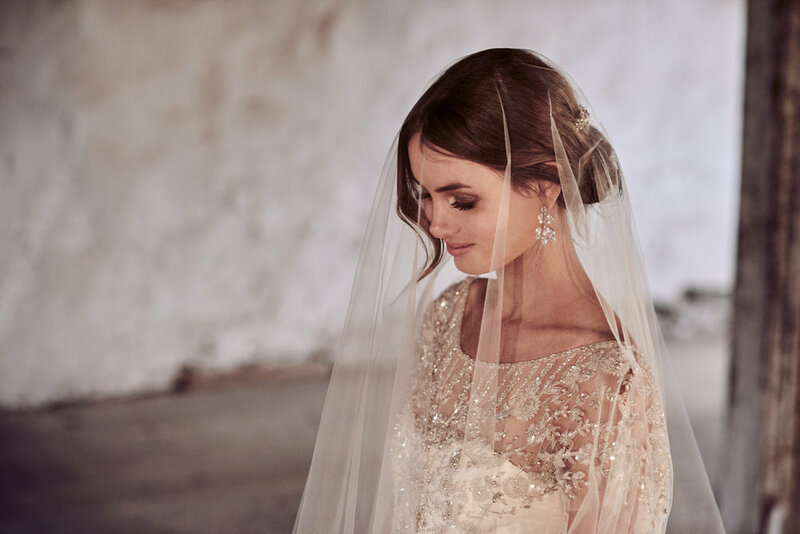 Follow anna be’s Instagram for sneak peeks of the newest Anna Campbell gowns in-store, and all the #weddinginspo you need from real Anna Campbell brides! Support ethically and locally hand-made designers.